Next Entry: The Big Bad Wolf in Sheep’s Clothing? I would love to hear more about it! And so should the newspapers. This is probably a hoax. It’s either a breakthrough in science, or a hoax. Water requires energy to be split up, and there is no net energy gain through this process. My guess is that the chemical reaction that they talk about involves the oxidization of a bar of metal, which would split up the water. However, this would mean that you would have to replace the metal (probably a alkaline metal) every once in a while. For sure not “running off of water” alone. I don’t think it is a hoax. Genepax also demonstrated their fuel cell system by powering the entire TV crew’s equipment while they were there for the press conference. Also, the article that I got the story from is reputable and from one of Japan’s largest media outlets. Finally, I don’t really see the point of Genepax of orchestrating a hoax like this. as tv news crews to invest. in science, it would disprove most of modern physics. Bush family and their friends! unfortunatly, there is no feasible way to use water as a fuel source and as an end product in a chemical reaction and get energy. There’s no free lunch, and this device effectivly breaks the first law of thermodynamics if it does not use an additional source of either chemical or electrical energy. 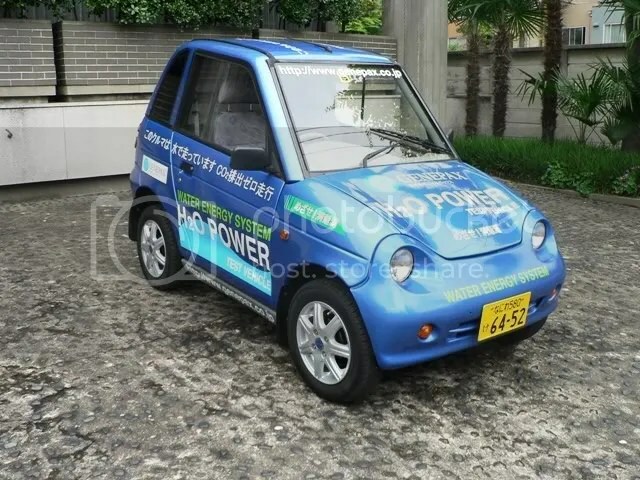 Check out the japanese website: http://www.genepax.co.jp The diagrams that they have clearly demonstrate that this machine is not feasible under the “no additional fuel besides water (and possibly tea?!) concept. If car can be run with water, than what’s about running the other’s equipements in the house. Or either it cost more than the fuel, means it only can be used when their a crieses of the Fuel. the so-called “Skeptics” here seem to be as quick to rush to judgment as the “easy believers” they denounce. this company has not claimed to break the second law of thermodynamics. they don’t break it. All they do is run a car without using fossil fuels and without producing carbon emissions. I have my own thoughts on why the company decided to take it public like this and risk the negative word-of-mouth backlash that has been occurring. You can bet they think the benefits outweigh the risks. This is not physically possible as proposed by the company. If you look at the website diagram the end product is the same as the starting material and thus the net energy of the reaction is zero unless another material or energy is applied and transformed, which is currently dismissed by the company. Also, because the starting material and end products are the same it would make sense to make this a closed system which would never require the addition of water and thus it would be a perpetual motion machine. Clearly this is not the case as the company claims that water must be periodically added (indicating a loss of energy in the system), which should be evidence enough of the hoax. I’m sure all the supporters of this scam will attribute this loss of energy to heat given off by resistance, or evaporation, but the fact of the matter is that the company has (even admitting a loss of energy to those factors) lied about the actual reaction taking place on their own website because any loss in energy should be shown in the reaction diagram as, at the minimum, a secondary product of the reaction. So there you have it, a dishonest company with an impossible product….SCAM! H2O goes in, energy comes out. Where does the H and O from the H2O go? It seems from their description that it comes back out as H2O again. So yes, thermodynamic laws are broken here. And heck, anything else containing the H and O, besides water, could be reduced to water, with more energy released. My guess is that the chemical reaction that they talk about involves the oxidization of a bar of metal, which would split up the water. However, this would mean that you would have to replace the metal (probably a alkaline metal) every once in a while. For sure not “running off of water” alone. This has been done successfully. And it wasnt a hoax. However the english engineer who did it also used a radioactive element to help somehow with the conversion from water to gasses. I’m trying to find the link now. The BK govt allowed him to do it for the one car, but said because of the radioactive element it wasnt practical for a production car.